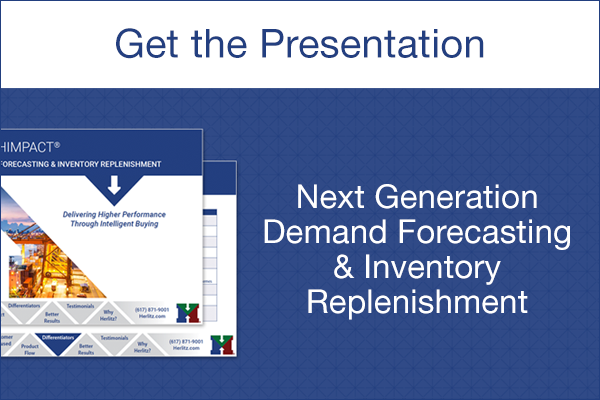 Many retailers would agree that they want their inventory systems to achieve specified service goals. However, fewer retailers are aware of the costs associated with overshooting these service goals. Your inventory management system needs to have capabilities allowing it to take corrective action when specified service goals are exceeded. There is only one profitable service goal for any given SKU. Overshooting this level will result in higher costs. Even though extra sales can be achieved, there is a carrying cost associated with selling additional units of inventory. There is also a higher risk of overstocking your perishables and increasing spoilage. If the carrying cost exceeds the incremental marginal return, it will result in higher costs and therefore less profit. In HIMPACT, there is a built-in simulator called Service Level Analysis (SLA). This simulator aids in finding the most profitable service goal for each SKU. There is an old joke about a man, presumably a statistician, who stood with one foot in boiling hot water and another foot in ice-cold water. The man said, “On average, I ought to feel pretty comfortable!” The joke is meant to point out the issues with simply using averages to describe the distribution of data. In a vendor line, there are items that tend to overshoot service goals and other items that tend to undershoot service goals. Retailers look at the data and conclude that on average, the line is meeting its service goal. Many retailers also wish to increase the safety stock for underperforming items but neglect to adjust the safety stock for items that are exceeding their service targets. Like the statistician in the joke, retailers cannot simply compare averages and expect the most profitable outcome. The problem with only looking at the average is that SKU’s overshooting service targets are increasing costs, and SKU’s undershooting service targets are resulting in lost sales. Retailers need to be concerned with both. HIMPACT has another feature called Service Attainment Manager (SAM). SAM addresses this phenomenon by self-adjusting the Safety Stock that HIMPACT calculates. SAM is the next tool for reducing spoilage. Retailers can take advantage of Service Level Analysis to better understand how decisions for each SKU can affect profit, either positively or negatively. Avoid making decisions based on past experience when you can use tools that present your expected results in advance.